Pack It: Relax — our Small Packing Cube will keep your knickers from getting in a twist. Stuff It: The flexible 5-inch-deep design of this organizing gem means you can bring order to piles of socks, undies...whatever! The top-quality three-side perimeter zipper operates easily even when it's fully packed. Crush It: We've designed our Small Packing Cube using strong, lightweight materials so it collapses to nearly nothing when not in use. 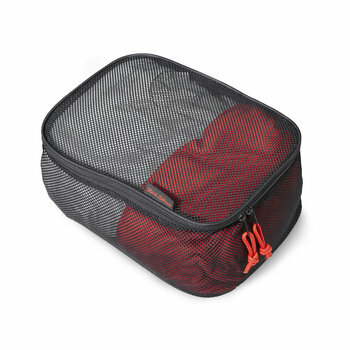 Security Friendly: When you organize with our mesh-sided cubes, security and customs agents can easily check out your bag's contents without pawing through a pile of loose laundry. Three's Company: If one cube just isn't enough, we offer a super deal on a set of three cubes (1 large + 2 small).